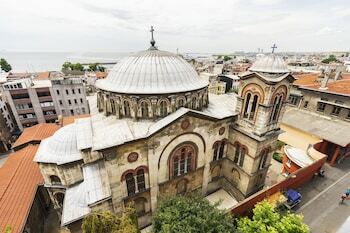 Located in Istanbul (Istanbul City Center), Sayeban Hotel Istanbul is within a 15-minute walk of Grand Bazaar and Hippodrome. Featured amenities include express check-in, express check-out, and complimentary newspapers in the lobby. Guests may use a roundtrip airport shuttle for a surcharge, and self parking (subject to charges) is available onsite.